Verdict: Very tasty. These were one of the appetizers for our yearly cookout. 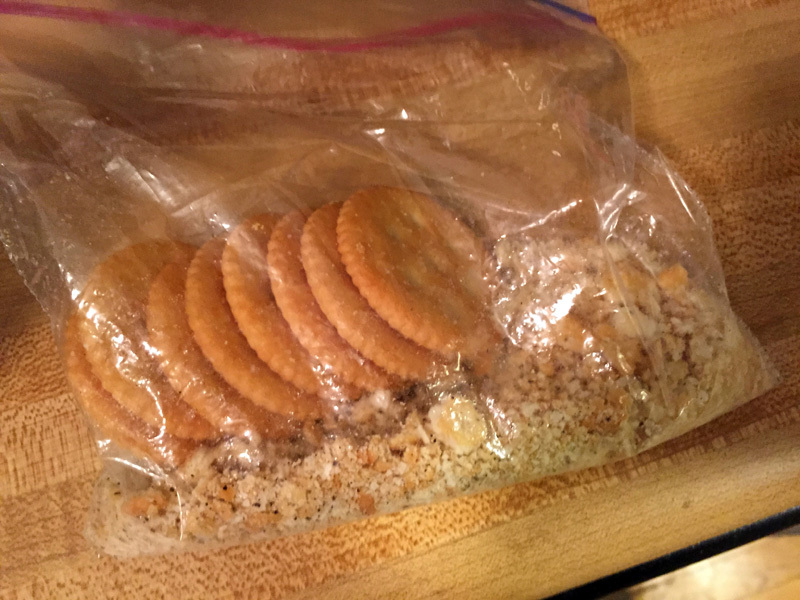 I used Ritz crackers for the breading and vegetable oil instead of lard. 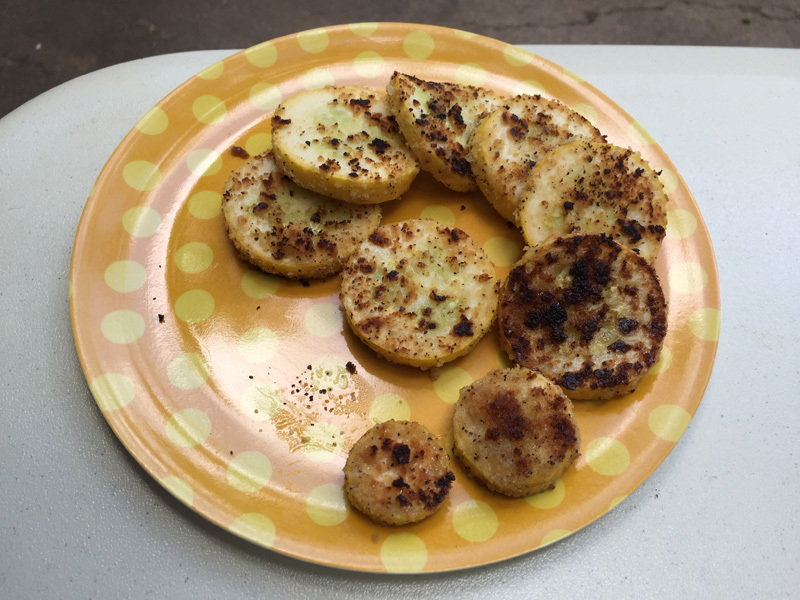 Cooking was done at medium heat in a cast iron pan on the side-ring of our gas grill. 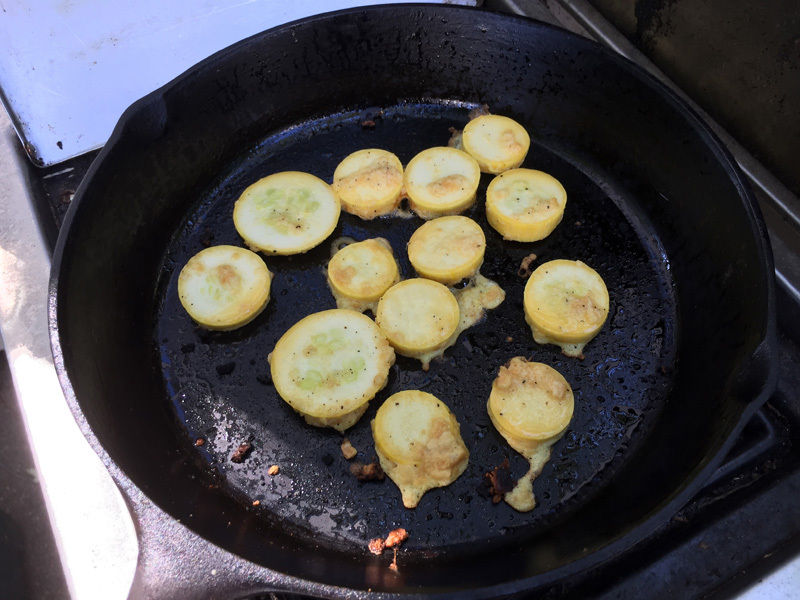 I should have used a larger pan – the squash we bought made four or five separate batches of fried up squash discs and they were consumed rapidly. 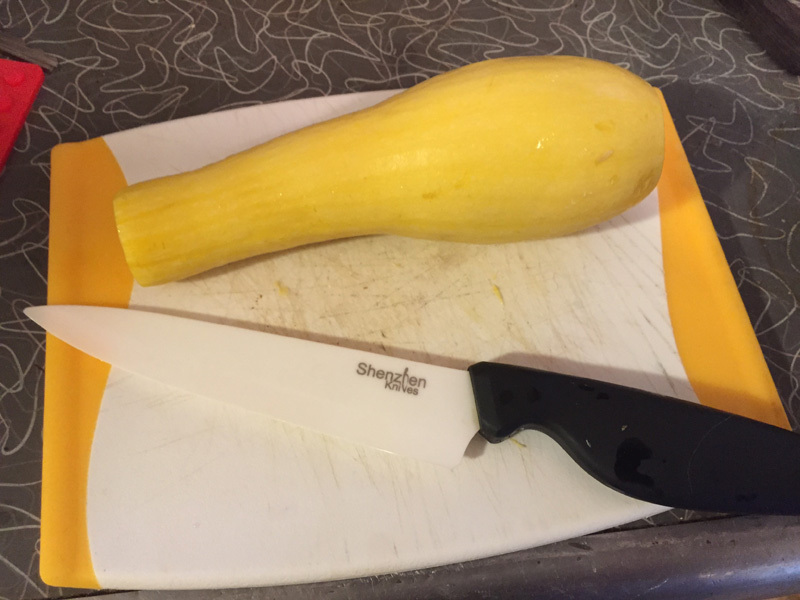 A larger pan would have let more guests have more squash at a time. 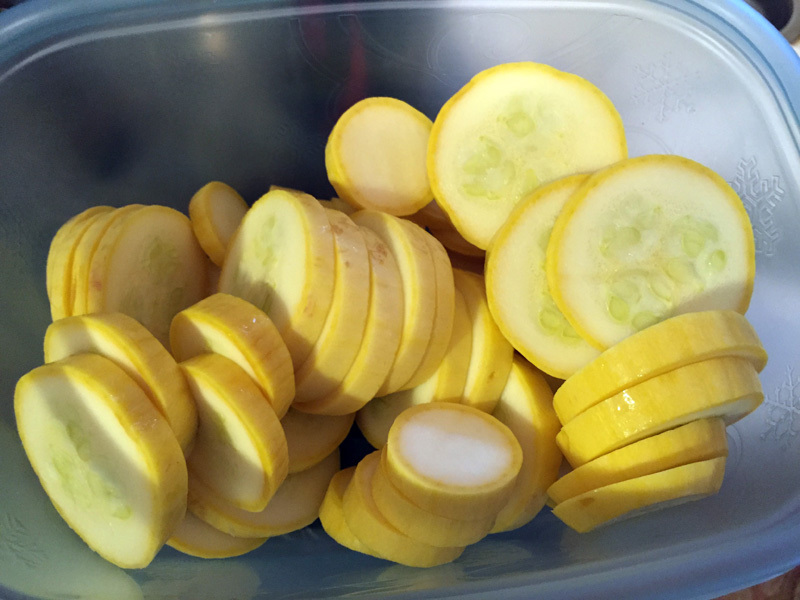 This entry was posted in 100 Year Old Food and tagged 100 Year Old Food, Recipes, Squash. Bookmark the permalink.